A stone that symbolizes love, the heart, and its protection. It is loved for its soft colour that is so easy to wear. Rose quartz is a stone that brings a lot of good; that’s why we like to keep it close to us. 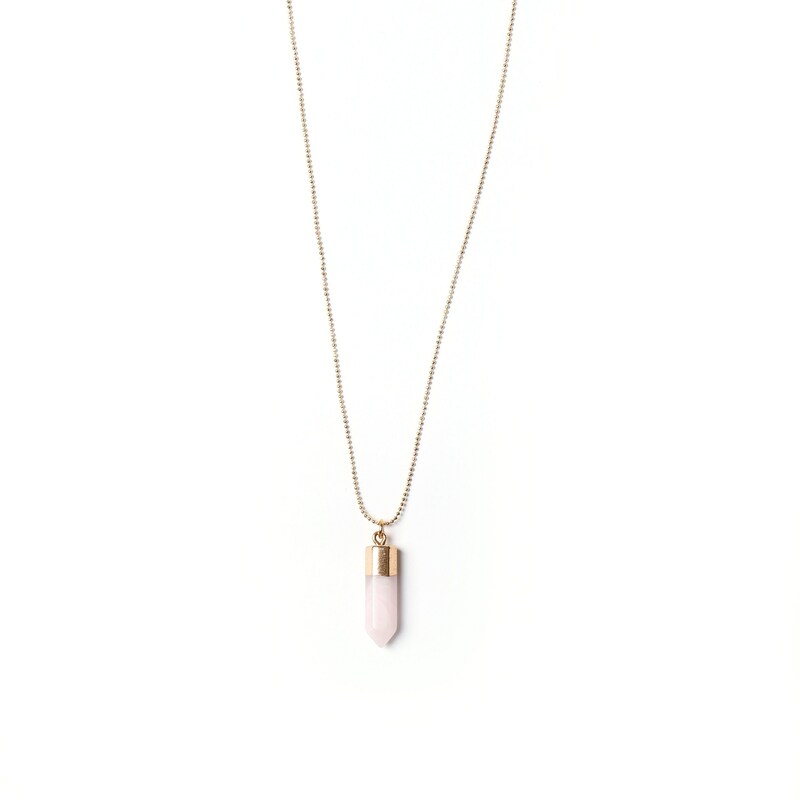 Gold-plated chain necklace with a semi-precious stone pendant made of rose quartz. It has a gold clasp. This stone symbolizes love—universal love. It brings calm and wellness to the heart and spirit: tenderness, softness, serenity, and self-confidence. It is truly the stone of artistic expression, and connects you to your heart, your soul. It is said that it helps heal the wounds of the soul. Our jewellery pieces are all handmade in Quebec. We put a lot of care into choosing high quality materials based on their price. You can easily wear them every day, but please avoid submerging them in water to help the gold plating last longer.